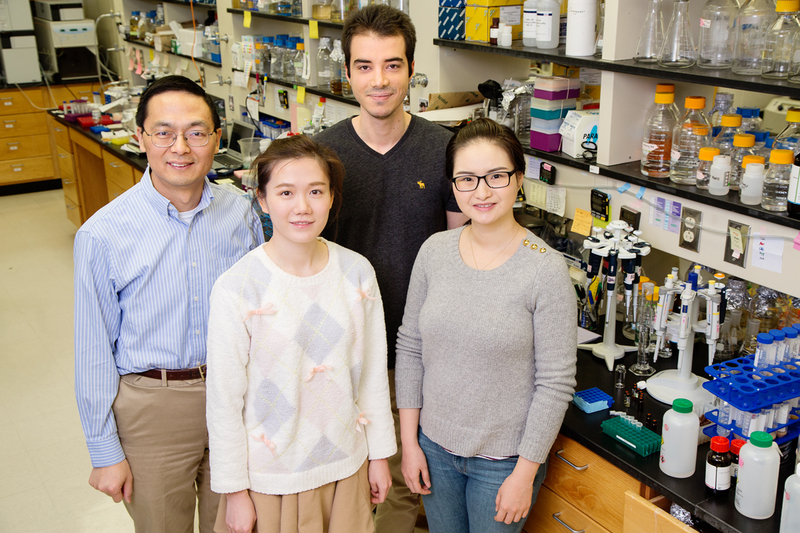 Illinois researchers used CRISPR technology to activate silent gene clusters in Streptomyces bacteria, a potential treasure trove of new classes of drugs. Pictured, clockwise from back middle: graduate student Behnam Enghiad, postdoctoral researcher Shangwen Luo, graduate student Yajie Wang and professor Huimin Zhao. CHAMPAIGN, Ill. — In the fight against disease, many weapons in the medicinal arsenal have been plundered from bacteria themselves. Using CRISPR-Cas9 gene-editing technology, researchers have now uncovered even more potential treasure hidden in silent genes. 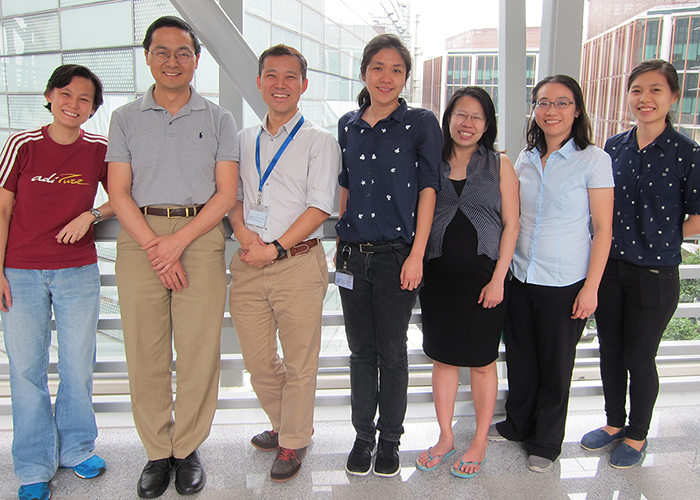 The Illinois team collaborated with a team from A*STAR in Singapore. 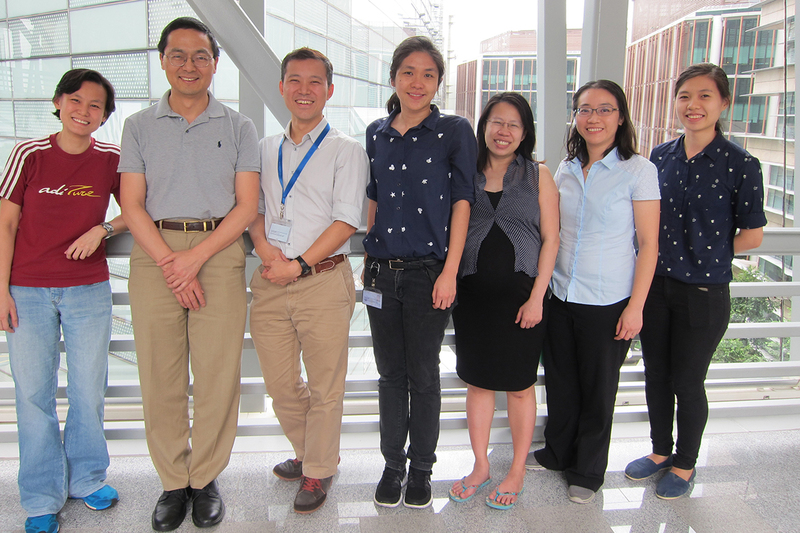 Pictured: Wan Lin Yeo, Huimin Zhao, Ee Lui Ang, Mingzi M. Zhang, Fong Tian Wong, Yee Hwee Lim and Elena Heng.